These are a new holiday tradition at my house. I can’t even put in to words how good they are! ZOMG! 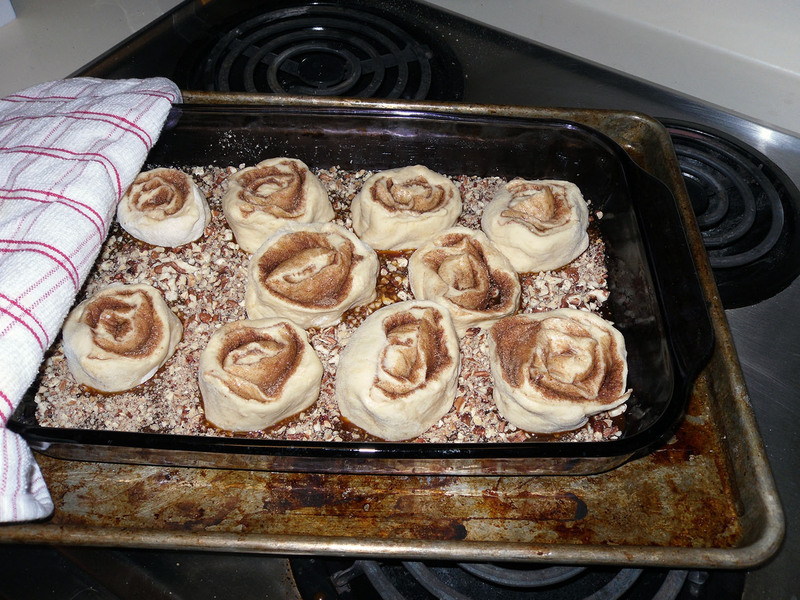 Think cinnabon but better, seriously. Ok, so down to business. I make these over two days, not because they are all that complicated but because I’m lazy. I let them rise in the fridge overnight and then let them come to room temperature for an hour before baking (enough time to open presents!). Something I ran in to this year, we can’t eat them all at once because they are so rich – two per person at the most with a glass of milk. So, you can freeze these before they rise. If you plan to do that I would put them in the pan you are going to bake them in with the caramel and nuts already in place. I bought a cheapy tin disposable one from the dollar store, came in a set of two. 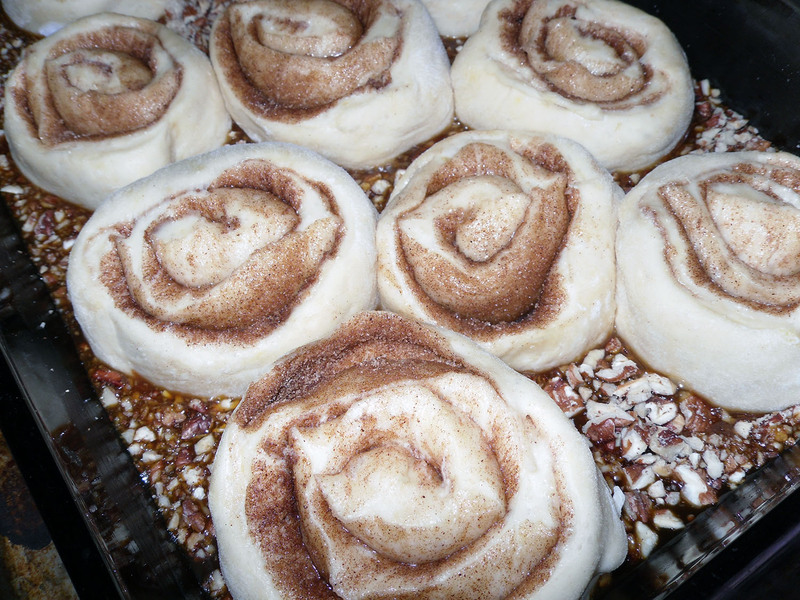 Then I put plastic directly on top of the rolls and around them since there is space before they rise and put the lid on – or you could use foil. 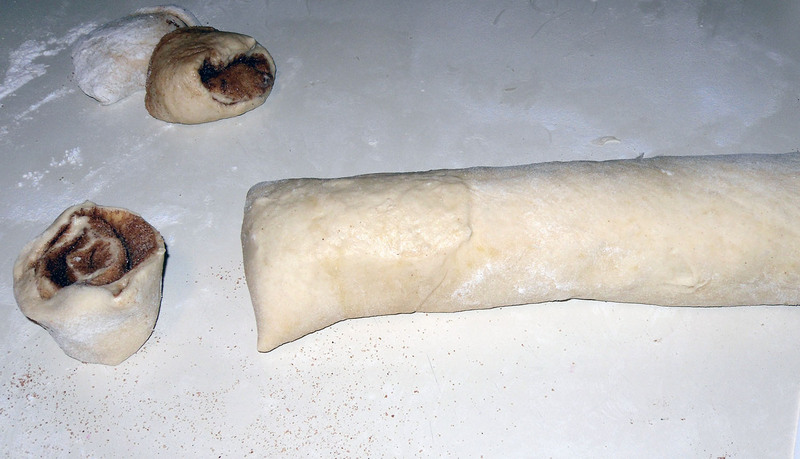 Use them within a month, thaw and then follow the directions from the rising stage. 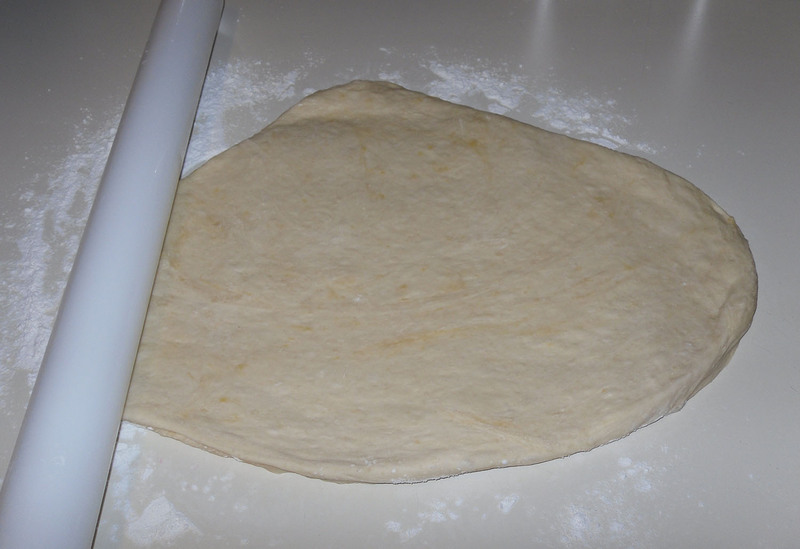 Go ahead and prepare the hot roll mix according to the directions on the box. 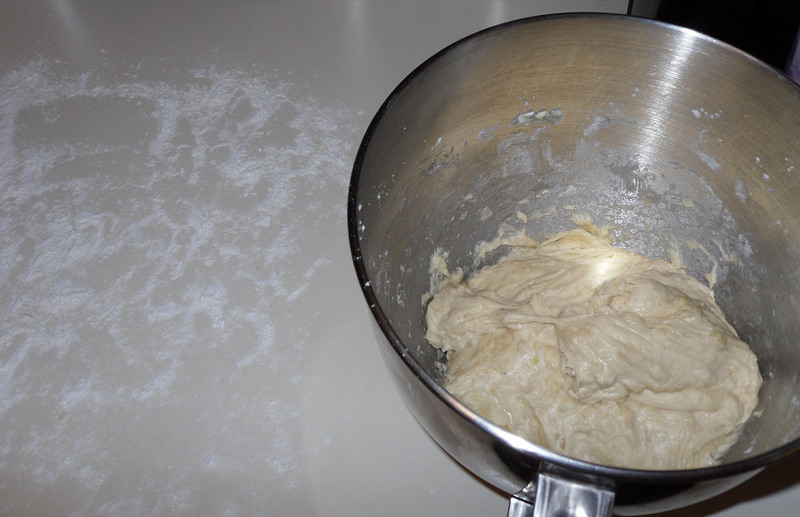 Let that stand for 5 minutes in your mixer bowl (preliminary rising). 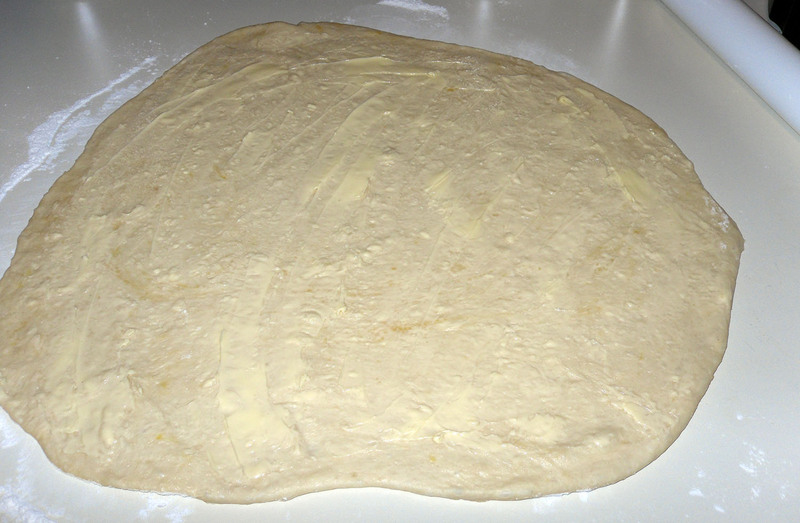 After sitting for five minutes, the dough is ready to roll. Toast your pecans before chopping, it gives them a much deeper flavor. 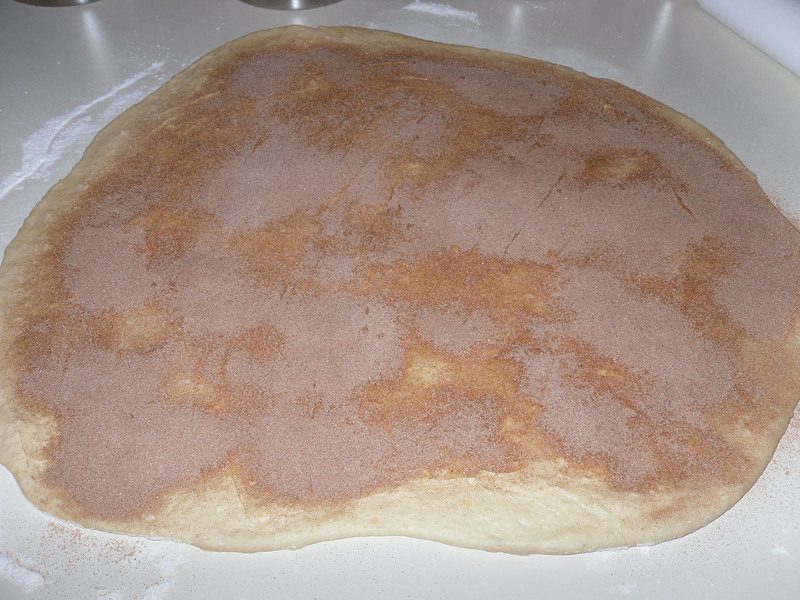 Cover with a kitchen towel or foil and let rise for 30 minutes or until the slices are doubled in size. You want the rolls rising at roughly 85 degrees. Bake at 375 for 16 minutes. Cool on rack for 5 minutes and then turn them out onto a pretty platter or if you’re like me and don’t have anything else 13 x 9 except your 13 x 9 pan then use a cookie sheet. It worked perfectly and clean-up was super easy. That’s important when you’re dealing with sticky buns, and I mean sticky! 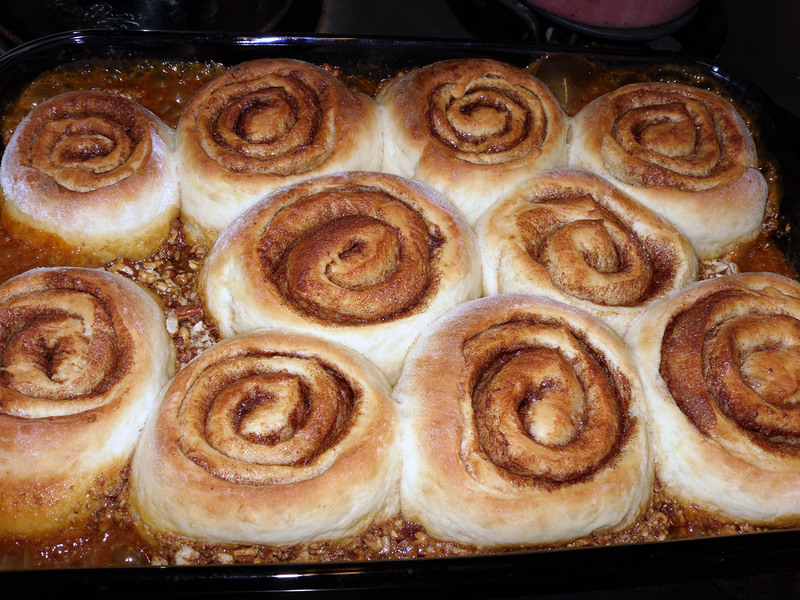 Super awesome, made of sunshine, +1 Buns of Ooe y-Gooey Yumness. Bring the sugar, water and lemon juice to a boil in another pot and then reduce heat to medium high, stirring occasionally for 8 minutes or until the mixture begins to turn brown. Reduce heat to medium and stir occasionally for 5 minutes or until completely caramel colored. Pour the caramel sugar into the cream a little at time. The concoction will immediately come to a boil and fill the pot. When this subsides you can add the next batch. Keep off heat for 1 minute then whisk until smooth. Cook over medium low, stirring occasionally, until a candy thermometer reaches 230 degrees F which is the thread stage. This makes 2 1/2 cups so you’ll have some left over for ice cream, or heck, just eating with a spoon; it’s sooo good! 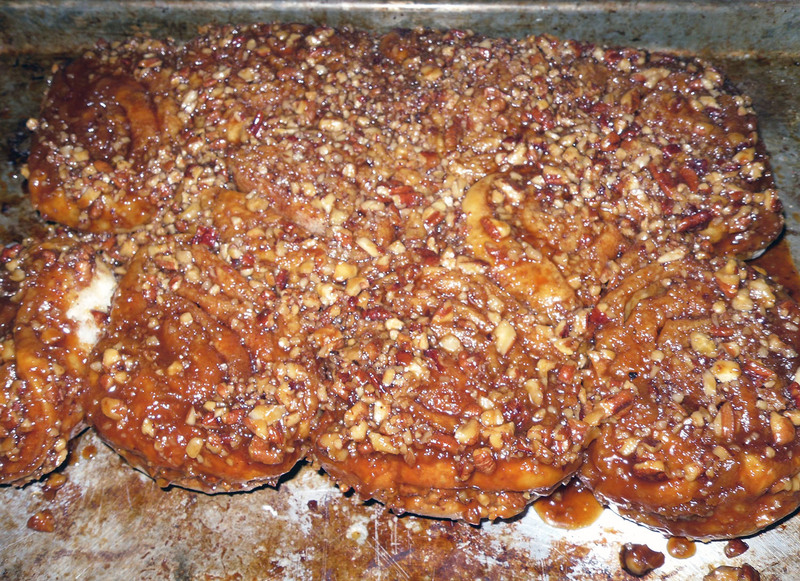 Whether for a special occasion or just a random Saturday, you will NOT be disappointed by these sticky buns!